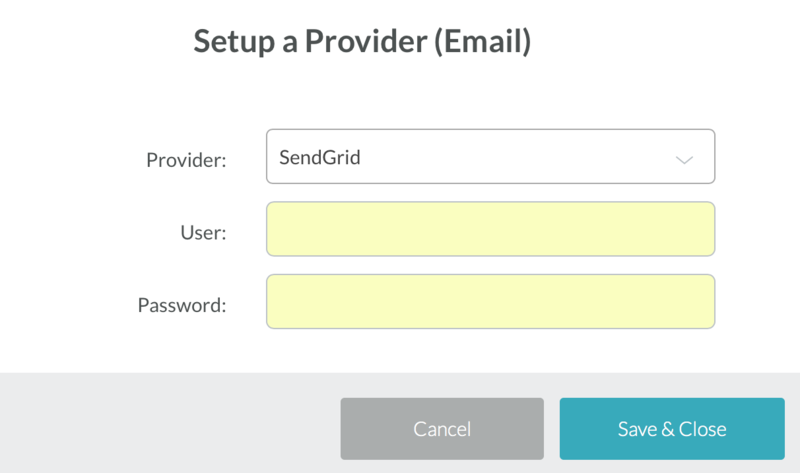 Supply Connect with your username and password from SendGrid by visiting Settings > Providers. Use the drop-down to select SendGrid and paste in your credentials. Click Save & Close. Your provider will start sending your emails. Hooray!